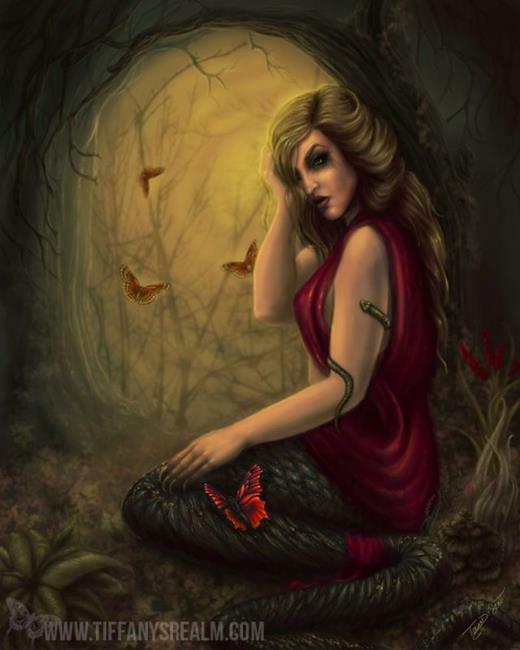 Lamia is a woman in Greek mythology who, after a love affair with Zeus, is cursed. After her children are murdered as a result of the affair, she becomes a snake-like devourer of children. Some myths say she is snake from the waist down, others say only her face is deformed, so I used both!